Product categories of Cheese Grater, we are specialized manufacturers from China, Cheese Grater, Butter Grater suppliers/factory, wholesale high-quality products of Cheese Zester R & D and manufacturing, we have the perfect after-sales service and technical support. Look forward to your cooperation! The Cheese Grater is a convenient daily gadgets. 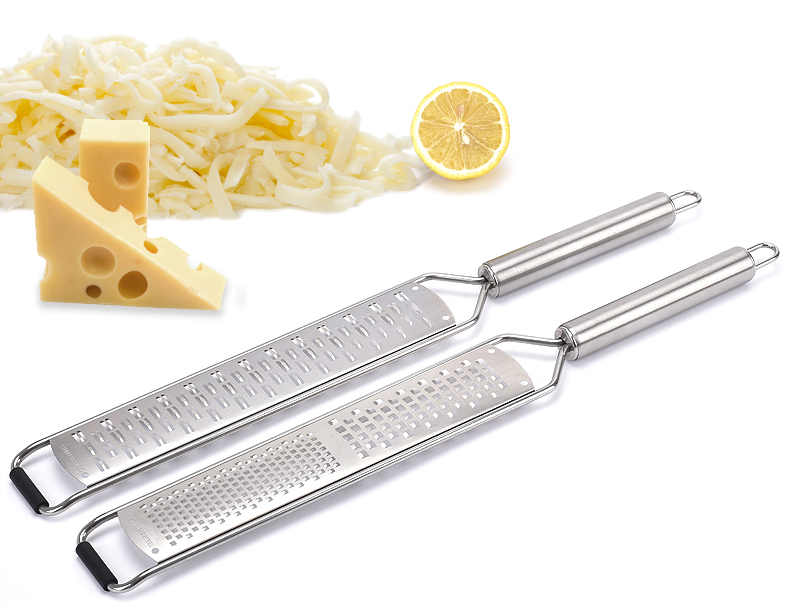 It will make cheese and butter softer, and protect your hands, nobody will reject these useful and convenient tools. They 're made from high quality and tight stainless steel, usually come along with a ergonomic soft plastic handle, non rust, durable, light, safe and safe in dishwasher are their advantages.